You are currently browsing the archives for the tag 'self tie collars'. Let`s travel further in time. 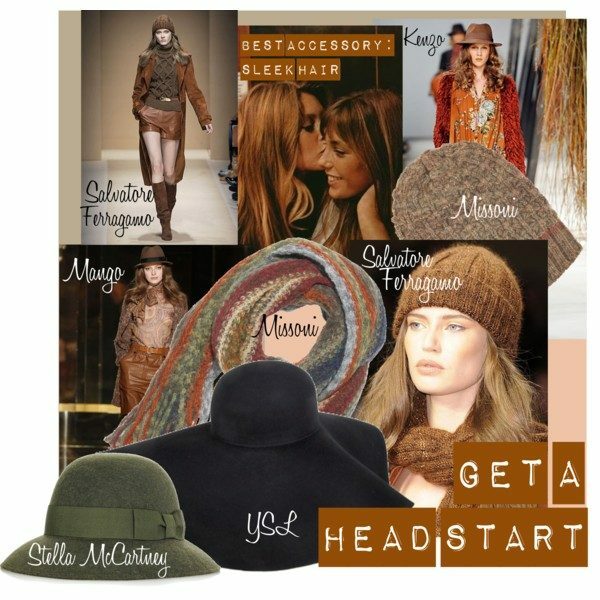 A breeze from the `70s floated over the F/W 2010 runways when the designers brought the more sophisticated aspects of this decade`s fashion into the now. Indulging in reminiscences of young Jane Birkin, Bianca Jagger and Veruschka, nonchalance, luxe and subtlety are the catchwords fall embraces. Camel is the colour of the season followed by a palette of browns, nudes, and greys. 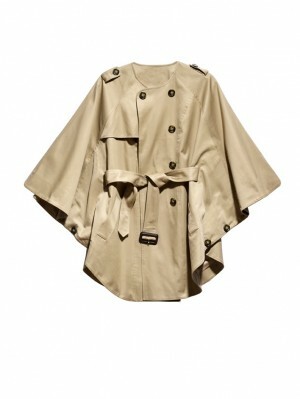 The ever-stylish shade makes a great fashion statement in combination with the must-have outerwear this season, the cape. I love the cape by H&M to the right. Cut more generously than a coat, the dashing alternative allows more freedom of movement and works much better over shoulder embellishments and mutton sleeves. 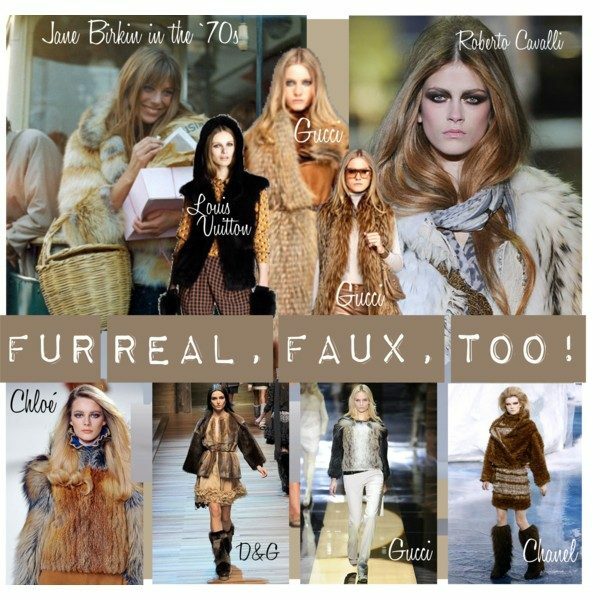 It was a veritable explosion of fur on the runways so there is no need to shy away from those ueberluxe pieces. The soft cocoon embrace of a voluminous real or faux fur jacket (or vest) will be irresistible this winter. 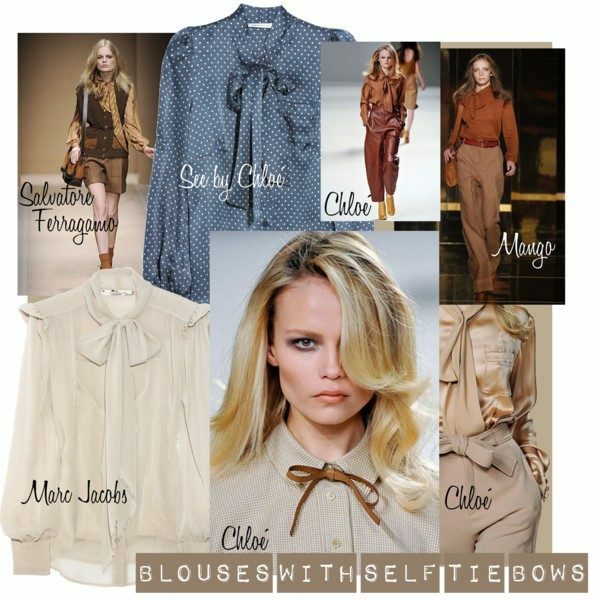 As the mood is casual luxe for daywear, redefine power-dressing in buttery silk blouses with tie collars. When it comes to trousers, opt for sleek or wide leg ones with a minimalist edge. Razor-sharp slimline Gucci pants or immaculately tailored like the ones by YSL are among my favourites. Naturally worn with a cashmere turtleneck, they are the most figure flattering throwback to `70s style. 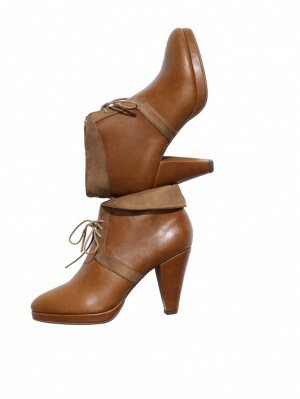 To complement the look, you will have to tie the knot with a pair of lace up booties. They are must-haves for every shoeaholic. Synonymous with luxe seventies style are the long-handled drawstring bucket bags. So no wonder they have made a much-welcome appearance. 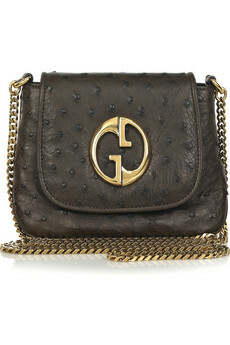 Another bestseller will be the remake of Gucci`s 1973 line. Available in nappa, suede and exotic leathers like crocodile and ostrich, those bags are classic and beautiful enough to be safe investment pieces. 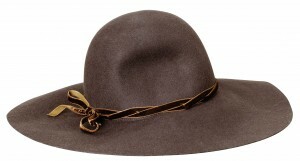 If you really want to get a head start on the boho wardrobe, look for a floppy hat or a knitted beanie. You do not need to go overboard. Enjoy your fashion moments in traditional, timeless essentials and the overall effect will be more post seventies luxe than vintage hippie.